I just failed emissions and went to check my O2 sensor and EGR, the O2 seems to be fine. Then I was going to clean my EGR, but before I disconnected it, I noticed the hose is not there, I think this might be the cause of my problem. This is on an H22A if that matters. My question is where am I supposed to connect this to? The part coming out on the right side is what I'm talking about. Also my idle is low and the car does die after hard acceleration so it definately seems like this should be the issue, however if this does not bring my idle up enough, if someone could show me which screw I turn on the throttle body to adjust the idle I'd appreciate that. Thanks. I assumed as much. Just figured out how to adjust the idle on the throttle body. Still need to know where that hose is supposed to connect to. It goes to the black box on the firewall. It is hose #16. 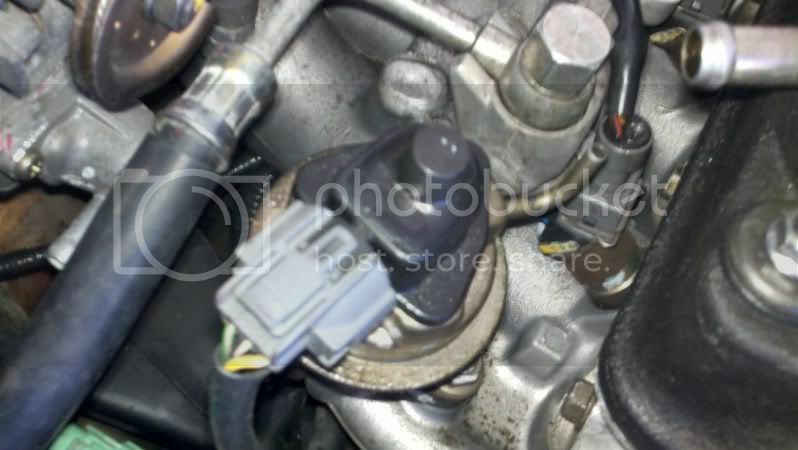 It goes to the EGR control solenoid. I think my egr solenoid might be missing altogether. Could someone take a pic of theirs so I can see exactly what I should be looking for?. 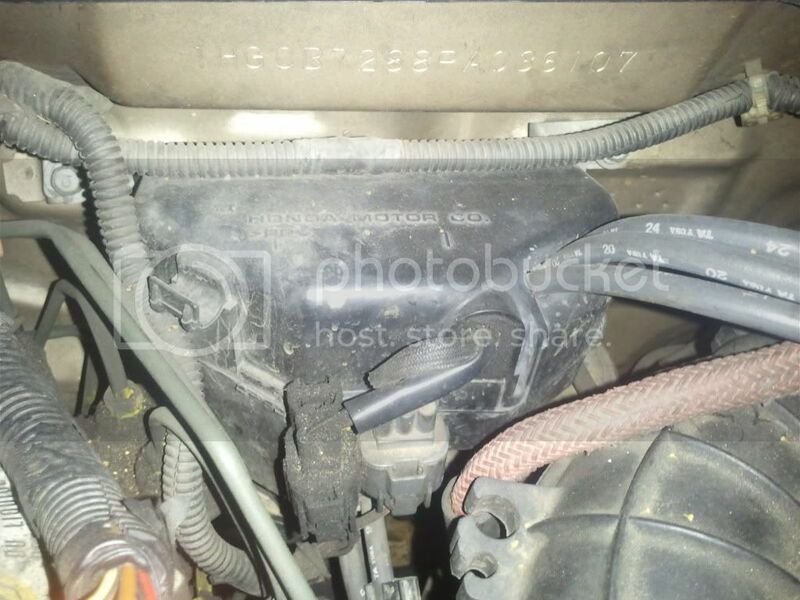 Its a rubber hose that your missing...it either connects to the vacuum box or the manifold..that missing hose can cause ur engine to die since you have a vacuum leak..im guessing you failed the smog test either because you had a check engine light or high nox....right? No check engine light. It was High Carbon Monoxide that caused me to fail. When you say it either connects to the vacuum box or the manifold, do you mean it can connect to wherever? I think I might be missing this box? Do you know a part number for it? Alright yea. I'm missing that whole thing. Thanks a lot for the picture. I'll check some junkyards this weekend.